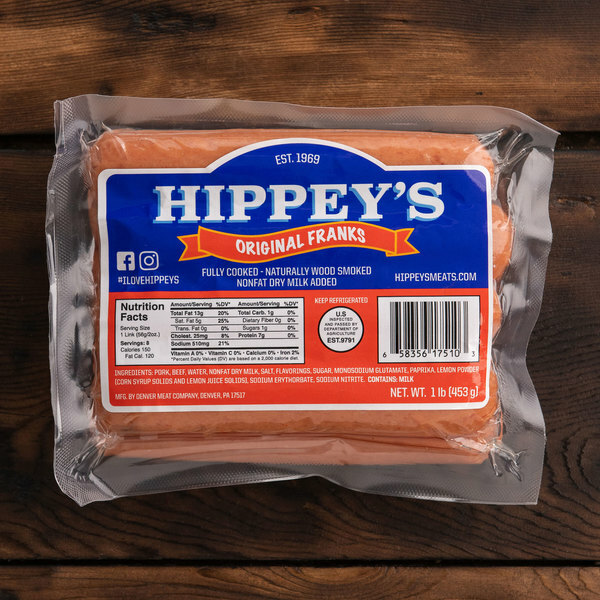 Deliciously juicy and bursting with rich, savory flavor, Denver Meats Hippey's 1 lb. pack 8/1 size regular franks are an American classic. 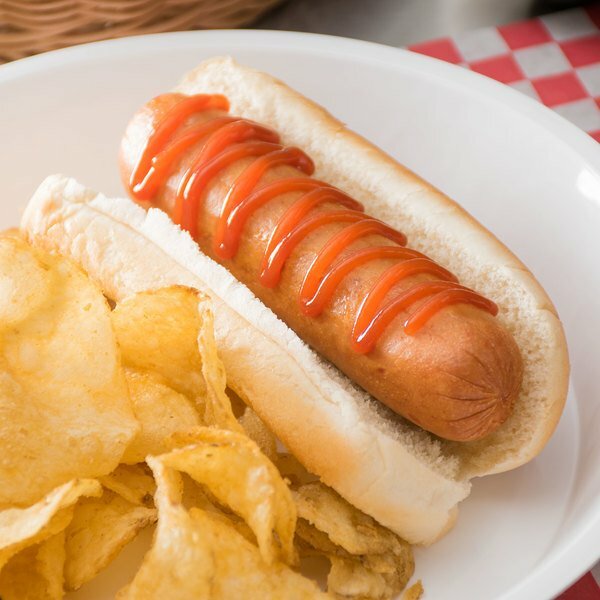 Each frank is made with 100% real, natural beef and pork, seasoned with salt and paprika for the perfect, well-balanced taste. It offers great versatility for the menu, pairing beautifully with a wide range of condiments and other ingredients. Serve it wrapped in dough for dipping, chopped and baked into a cheesy pan of pasta, or on a tried-and-true potato roll with ketchup and mustard, chili, or sauerkraut. For a great textural contrast, pair the frank with a side of chips or fries, or offer a healthier alternative with slaw or beans. 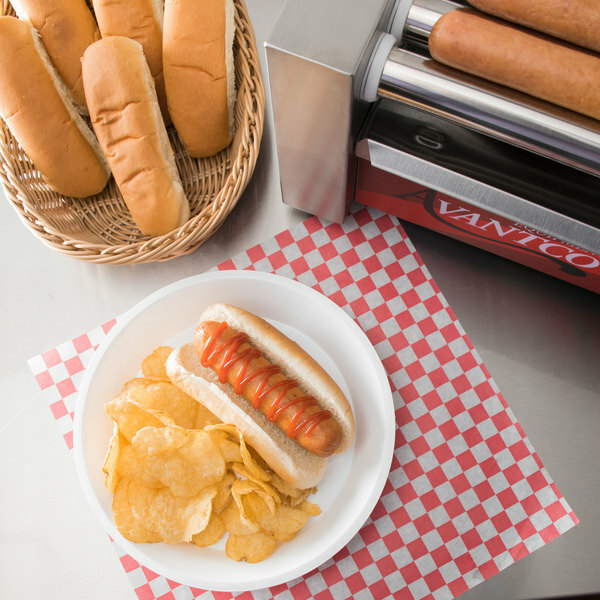 However it's assembled, this Hippey's frank is a great menu addition to countless venues, from sporting arenas and food trucks to schools and diners. And, since all franks are precooked, they merely require heating prior to service. Choose between grilling, boiling, or steaming, making sure that the meat's internal temperature remains at 140 degrees Fahrenheit or higher. 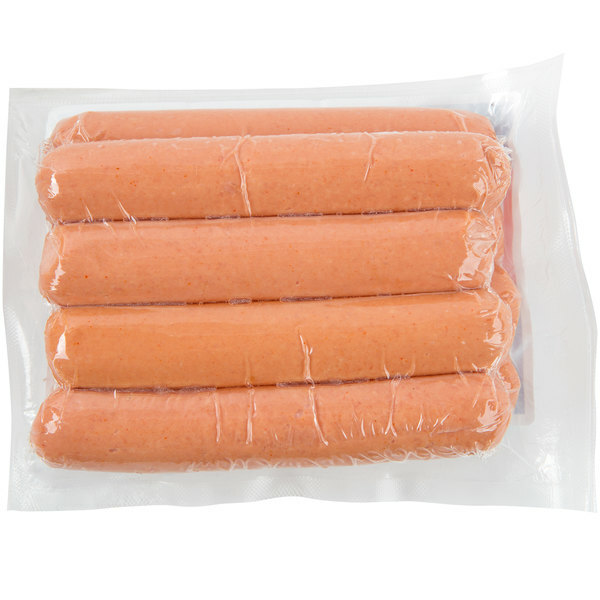 These particular franks are formed to a convenient 8/1 size, meaning that they're approximately 2.0 oz. for great, protein-packed portions.